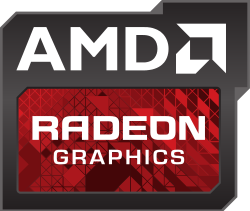 Using AMD APU as second OpenCL device? OpenCL is active for the GeForce GPU. But the AMD A8 contains a Radeon R7 and I’m asking myself if I could use this as a 2nd OpenCL device? I already did research on the web but I didn’t find any clear information. Wikipedia says that Radeon R7 family supports OpenCL, but in a detailed list different OpenCL versions are mentioned and different versions of the R7. Has anybody tried using an AMD APU as second OpenCL device for Darktable or has got such a configuration running? Small update: I deactivated the APU graphics in BIOS when I built my PC some years ago. After activating and starting up Ubuntu 18.04 it appeared as an OpenCL device. Unfortunately, Darktable only uses the GPU. In global settings I set the option ‘multiple GPU’ without changes. 0.434791 [opencl_init] discarding device 1 `AMD KAVERI (DRM 2.50.0, 4.15.0-47-generic, LLVM 7.0.0)’ due to missing image support. 0.434806 [opencl_init] OpenCL successfully initialized. 0.434832 [opencl_init] FINALLY: opencl is AVAILABLE on this system. 0.434840 [opencl_init] initial status of opencl enabled flag is ON. Seems to be that ‘missing image support’. Any information about this? OK, finally I managed to install the OpenCL-only installation of ROCm. But I see no difference. The APU still is identified as ‘clover’ and the ROCm website says that Kaveri APUs like mine are not supported. Think that I’m on a dead end here, or do you have any idea? Benchmarks: 59s with opencl enabled, 124 with opencl disabled. Not a fantastic speedup, but at least 2x and change. I would suggest giving that a (cautious) go.